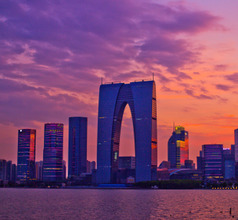 Suzhou is one of the wealthiest cities in China. 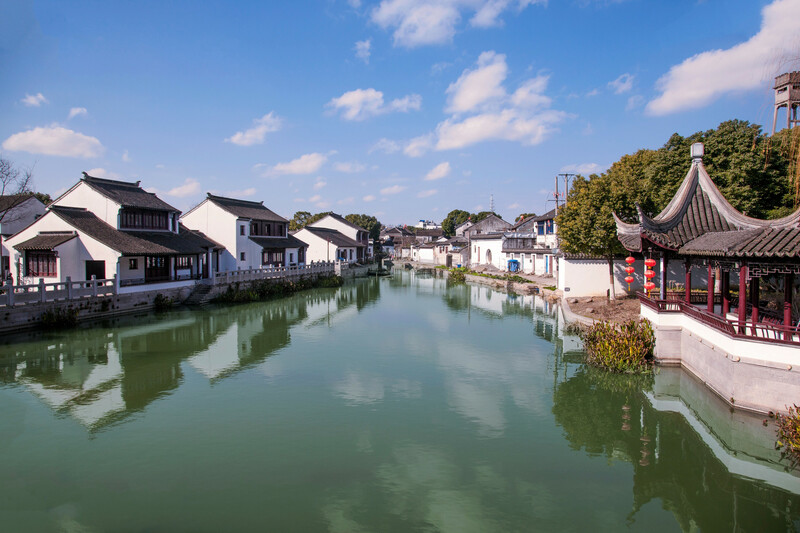 Located near Shanghai in the southeastern province of Jiangsu, Suzhou City is well-known for its classical gardens and water towns. The most famous among its attractions is the Lingering Garden, a UNESCO World Heritage Site. Due to its vast water bodies, the city has often been referred to as the “Oriental Venice”. There is a Chinese saying that the gardens lying to the south of the Yangtze River are the best in the world. This has been proved true in the city of Suzhou. There are over 60 large aesthetically landscaped gardens around the city. The gardens are ample evidence of the artistry of the local people since ancient times. 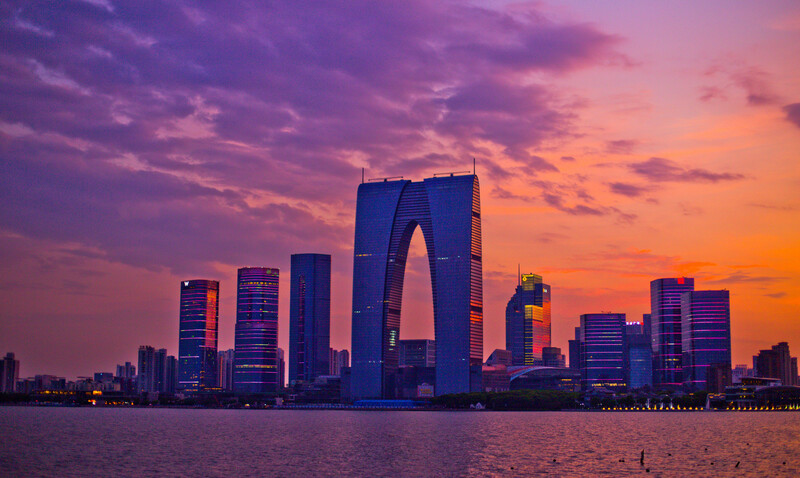 The city has an aura of culture, education, politeness, and helpfulness which makes it one of the most sought-after tourist destination in the country, after Beijing and Shanghai. 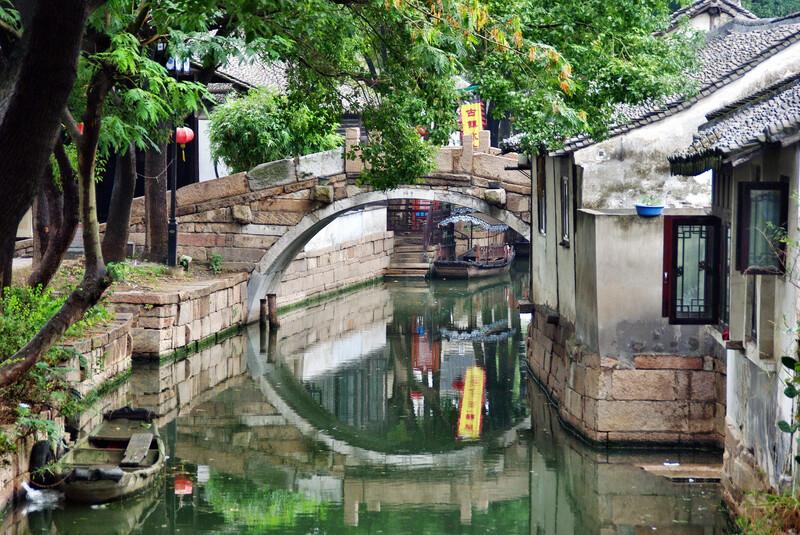 The city of Suzhou dates back to 514 BC when it was first established. With a long history of 2,500 years, the city has unique examples of architecture and landscaping that showcase the level of education, artistic talent, and culture of the people. 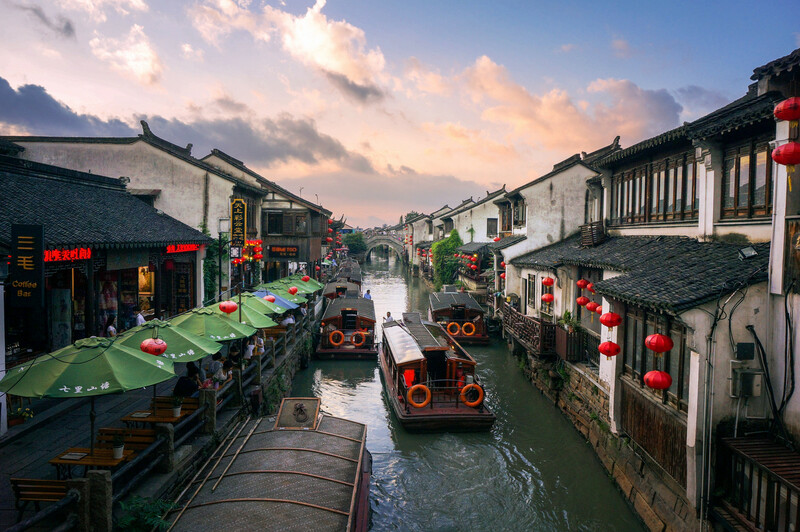 The Beijing-Hangzhou Grand Canal divides Suzhou City into two parts on the north-south axis. 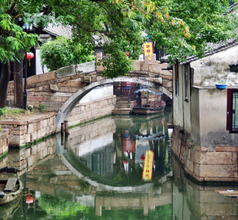 For visitors who are looking for exclusive souvenirs, Suzhou City is a real treasure chest. It is not a place for cheap imitations or bargain products. Instead, it is meant for the discerning eye looking for a touch of class and authentic and top-class souvenirs. 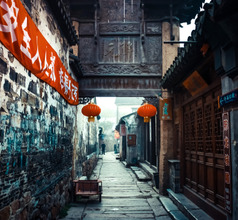 The local products that are really worth buying are fine Chinese silk, jade jewelry, jade showpieces, pearl jewelry and loose pearls, and Biluochun Tea. 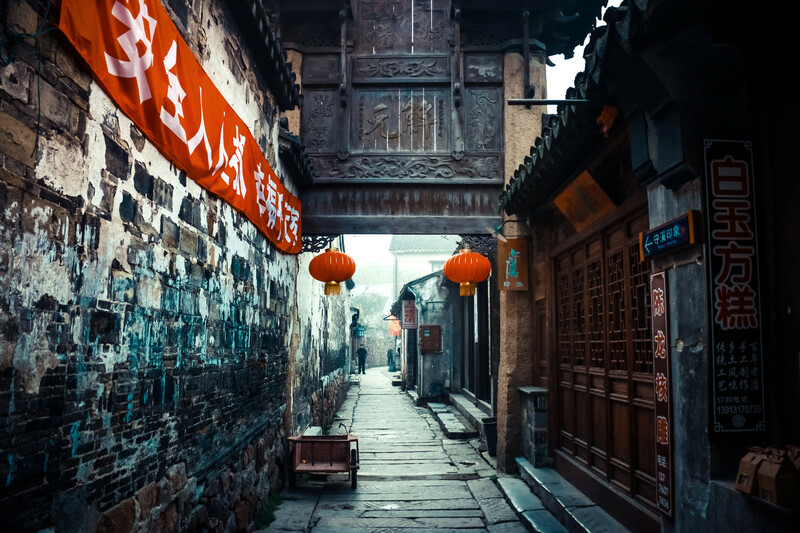 Shantang Street is an ancient pedestrian street which is a popular spot for sightseeing, local snacks, and buying souvenirs. 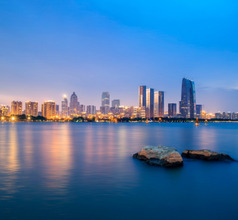 Suzhou City has a bonanza of luxury hotels. 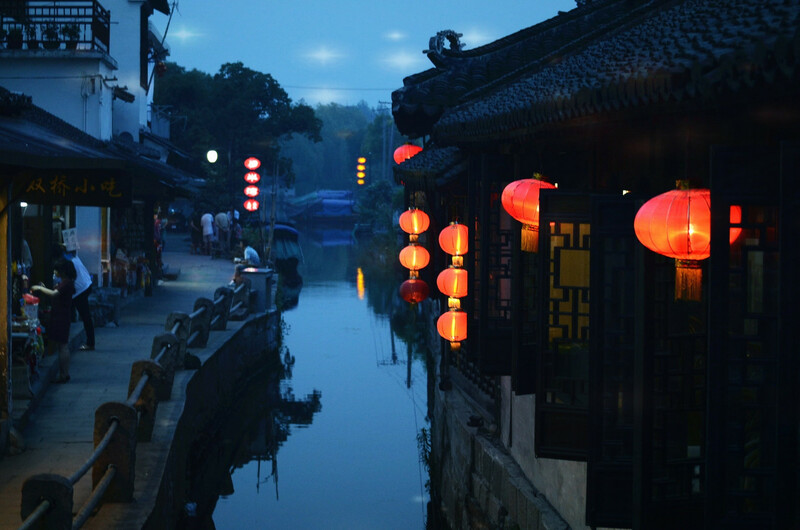 The most popular hotels are the heritage hotels in the city and the lakeside resort near Tongli Water Town. Besides these 5-star hotels, the city also has its fair share of 2, 3, and 4-star hotels, budget hotels, cheap guesthouses, service-apartments, and inns, and youth hostels. The luxury hotels provide a gamut of amenities like swimming pools, airport shuttle service, restaurants serving International fare, in-room dining, housekeeping, and more. Even the basic accommodation is generally clean. The city, on the whole, has a tourist-friendly attitude. 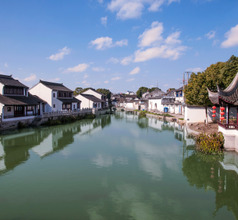 Of the total 60 gardens in Suzhou City, 9 gardens have been declared UNESCO World Heritage Sites. They are well-known for their artistic layouts and classical designs. 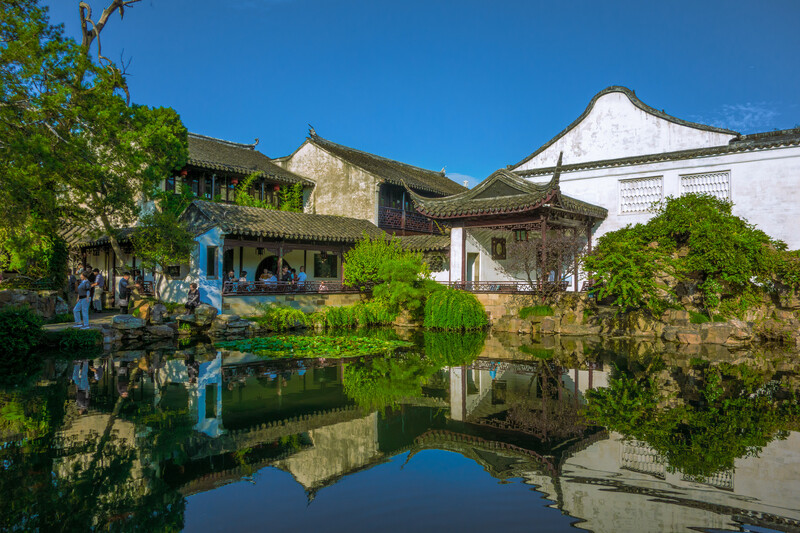 These gardens are the Lingering Garden, Humble Administrator's Garden, Canglang Pavilion, Net Master's Garden, the Garden of Cultivation, the Mountain Villa with Embracing Beauty, Lion Grove Garden, the Couple's Garden Retreat, and the Retreat and Reflection Garden. These gardens have a surreal beauty that has captured the hearts and minds of tourists from all over the world. Suzhou gardens epitomize what a Chinese garden looks like and are known for their tranquil and peaceful aura. They are all protected by the State and are considered national relics of cultural importance. Some of the gardens date back to the 12th and 13th century and have vast expanses dotted with aesthetic architecture. The Tiger Hill site is 2,500 years old and is a historical and cultural site. Spread over a vast area of 5.8 acres, the Lingering Garden is the most impressive one among the 60 gardens of Suzhou. It was originally a private garden designed in typical Qing style. It is famous for its water bodies, bridges, and numerous other buildings of different shapes, sizes, and colors. 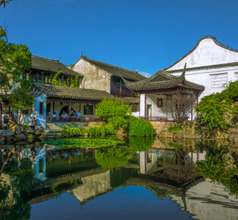 The Suzhou Museum is a combination of classical gardens and an exhibition site. The different exhibition halls are identified by their themes like Ancient Treasures, Elegant Life Style artifacts, Pagoda Relics, and Paintings and Calligraphies dating back to the Wu Kingdom. Countless Buddhist relics excavated from the Huqiu Tower on Tiger Hills and from the Ruiguang Pagoda located in the Panmen Scenic Area are exhibited in the Elegant Lifestyle Hall. They include artifacts like writing materials, calligraphy, rare and priceless paintings and porcelain of the Ming and Qing Dynasty, etc. The highlight of the museum is the Celadon lotus-shaped bowl of the Five Dynasties period. Suzhou Railway Station is located just to the north of the original wall city, and serves both frequent high-speed trains on the Shanghai-Nanjing Railway, as well as all the city's conventional low-speed trains. From the station, you can access metro lines 2 and 4. Suzhou's North Railway Station is located around 11km to the north of the city center area. It serves high-speed trains heading north on the Shanghai-Beijing Railway. It it also on Metro Line 2, providing easy access to the city center area. 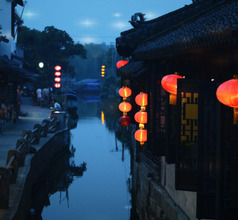 The cuisine of Suzhou City is one of its main attractions. Their food specialties are typical of the gourmet style cuisine of Jiangsu Province. 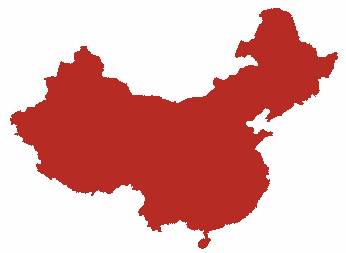 Some of the dishes have been famous since the Qing Dynasty reign, from the 17th to the 20th century. Suzhou cuisine is usually sweet and sour. The ingredients used are of high quality and the dishes are presented in a colorful and artistic style. 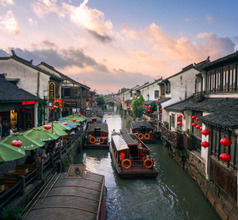 Suzhou cuisine has evolved over the centuries due to the patronage of wealthy merchants and imperial visitors to the city. The signature dish of the city is the sweet and sour spare ribs. Other popular local specialties include the Squirrel-shaped Mandarin Fish, Whitebait Soup, Biluo Shelled Shrimps, Cracking Eel Paste, Watermelon Chicken, Green Dumplings, Pan-Fried Steamed Bun, Gorgon Fruit with Osmanthus, Paopao Wonton, Suzhou style Noodles, Plum Blossom Cakes, Suzhou style Mooncake, Dragon Head Sweet Potatoes with Sugar Juice, Smoked Fish and Boiled Lotus Roots with Osmanthus, etc. 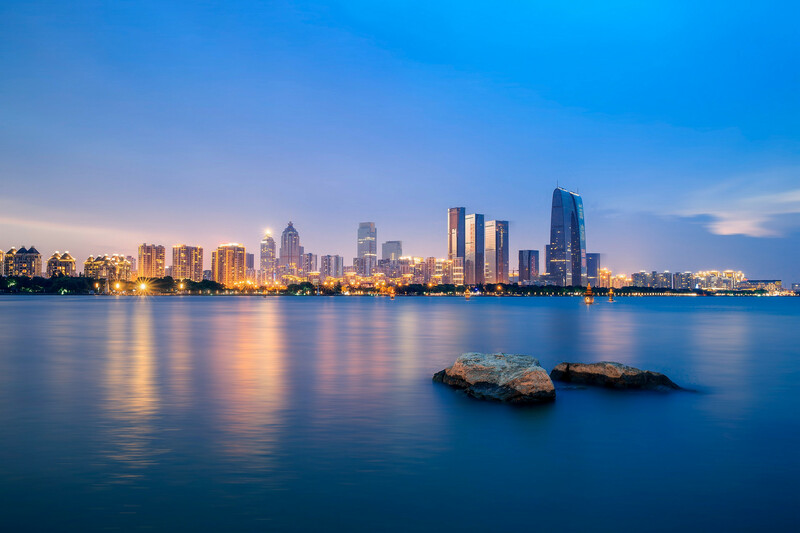 Suzhou has a mild climate that makes the city a desirable destination all year round. However, the climate is relatively humid in all four seasons: summers are humid, hot and winters are cool, cloudy with occasional snowfall.